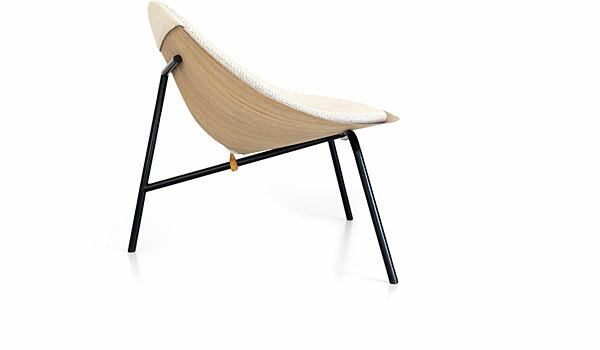 Ginko, easy chair with optional seat cushion. Ernst & Jensen, Denmark 2012. 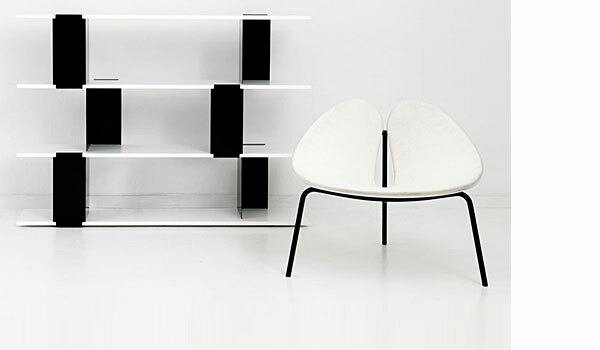 FRAME: Painted steel, white or black. Stackable! 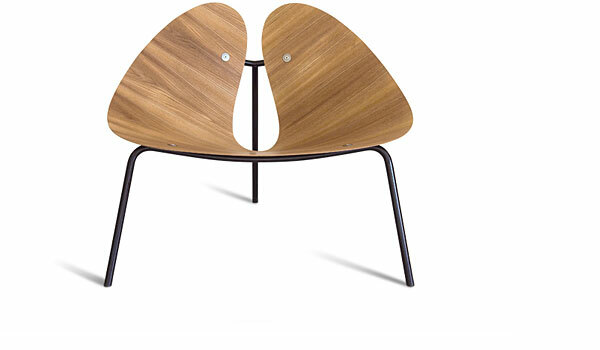 SEAT: Elm or white polypropylene plastic. Optional seat cushion upholstered with fabric of choice. 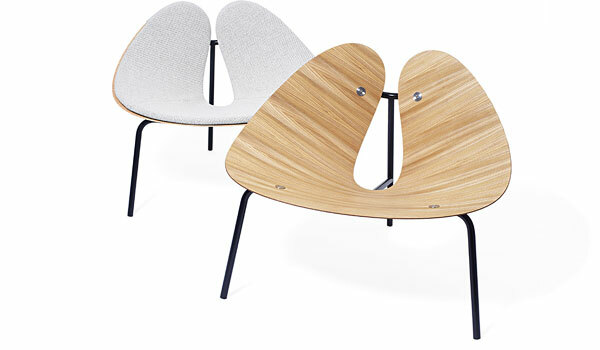 Like the fan-shaped leaf of the ginkgo temple tree, Ernst & Jensen’s easy chair is the essence of Nordic simplicity. The delicate veneer shell forms an organically shaped seat with a strong sculpt­ural appearance where the optional cushion acts as a leaf inside the leaf, providing a more sensu­ous character and added comfort. 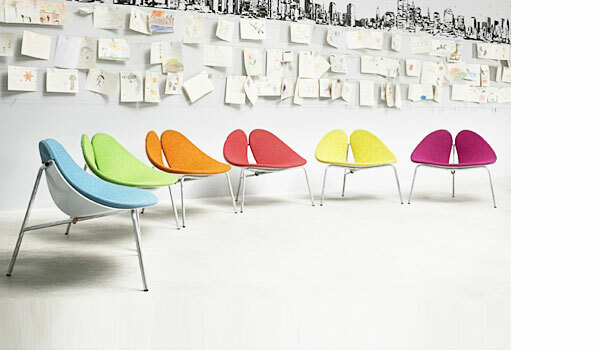 Ginko has been discontinued but we still have one Ginko lounge chair in our showroom.